How to do amazing in maths competition!!! One .You need to be able to be a team player. Two .Practices help you a lot but don’t make you perfect no one is perfect. Three .Should be good in maths. Four .Try really hard to come first. Hope this quick post help. 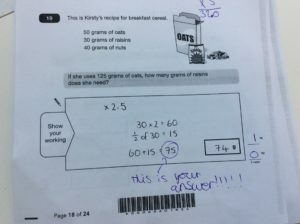 In maths➕➖✖️➗ in year 6,we have had a paper to mark that has been done wrong by Mrs Rigby(who is our teacher‍).We have had a chance to mark her work and this is one of the questions that she has done extremely incorrect❌. The numbers are 525 491 511 408 550. 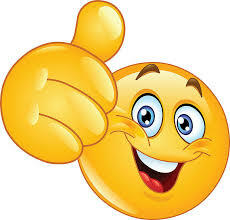 Miss Rigby wrote 511 but the closest one is 491, 511 is 11 off but 491 is only 9 off so 491 is the least away from 500. Miss Rigby says it equals 10,019 but she put them in the wrong colunm so it actually equals 3,444. Here is a super hard question answered! Can you find a 6-digit number that is the same number rounded to the nearest 100,000 and 10,000? This answer is so annoying 🙁 ! This is because rounded to the nearest 100,000 is 100,000 and to the nearest 10,000 is also 100,000! Sapna buys 4 Star Candles and 2 Stripe Candles. How many does she buy altogether? Buy 10 candles and get 50p off! Josh buys 10 Plain Candles in the special offer. How much does he pay for the 10 candles? A shop sells candles. A plain candle which costs 35p each. A star candle which costs 60p each. And a stripe candle which costs 85p each. Sapna buys 4 star candles and 2 stripe candles, how much does she pay altogether? So, first you read the question carefully. Then look at the writing that is in bold, which is altogether, and see what that word means. So the word altogether means you have to add in this certain problem. Now you look at the question again and it says, ‘ Sapna buys 4 star candles.‘ So now you look at the star candles, and it says a star candle costs 60p each. Next you look at the 4 , because it says she buys 4 candles, and 60p , because that is how much one star candle costs, so now you times them together, which = 240p/ £2.40p. So now you do the next step to the question, which is about the 2 stripe candles. Then you look at how much 1 stripe candle costs, which is 85p. Next you times 85p by 2 because Sapna bought 2 stripe candles. This = 170p/ £1.70p. 1. Look at your units. 2. If it is 5 or above it will go to the nearest number. 3. But if it is 4 or below it stays the same. 5. And you have your number.